This past weekend my wife and youngest son took a trip to Michigan’s Upper Peninsula to visit the campus of Northern Michigan University. NMU is located in Marquette, Michigan, which is a terrific little town. The town is located on the shores of Lake Superior and has a wonderful collection of historic buildings and interesting sights. 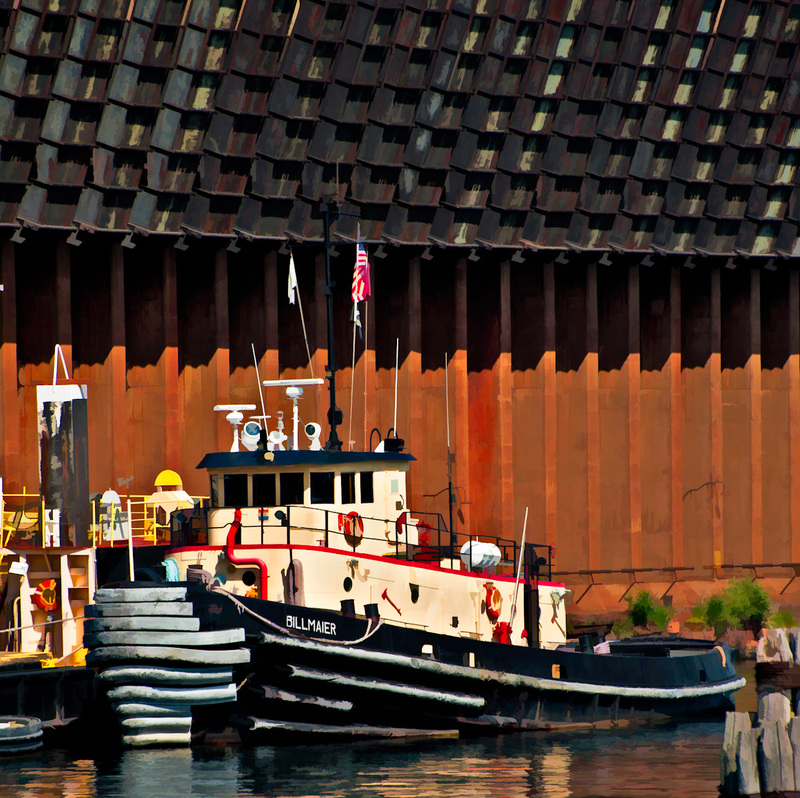 This shot was taken down in what is known as the lower harbor. The lower harbor has an old ‘ore dock’ which is a large structure used to load taconite pellets on to large ships. Marquette has two of these docks, one is still in use. 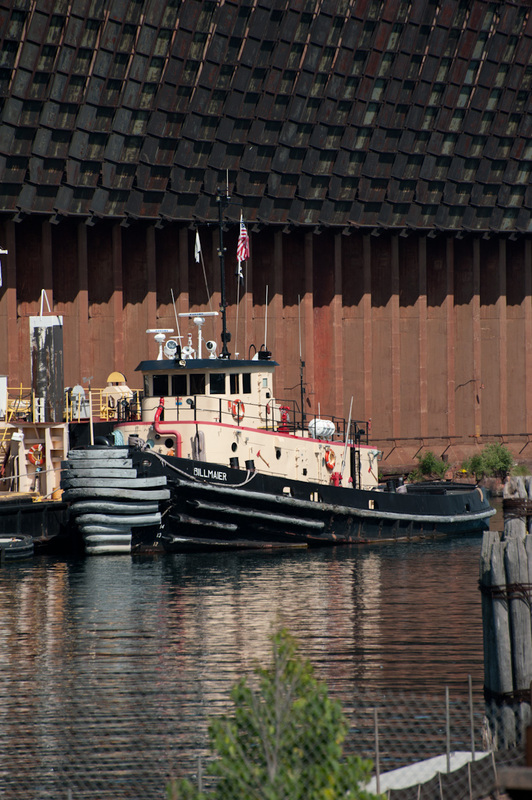 The image shows a tug boat parked in front of the dock. Processing consisted mainly of two steps, the first step was simply to crop the image down to focus more attention on the boat. The second step was to use Topaz Simplify to create a picture which looks more like a painting. There are certain types of images that Simplify works well with, and I think this is one of them. It does interesting things with color and texture that I think suit this image. The only adjustment I made after applying the filter was to mask out its effect on the name of the boat. I wanted the name to be legible. Have comments? Please leave them below! I like the painted effect you used on this one. And wow, how much stuff does that guy have on the top of his boat, lol. Very effective crop; the before and after images really lead us from point A to point B. Thank you! Simplify was a great choice. Beautifully processed – you can almost see the wet paint strokes!